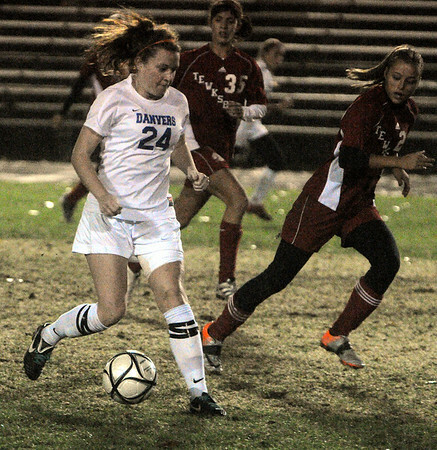 Danvers' Becky Landers has possession of the ball at the Tewksbury at Danvers girls soccer in Div. 2 North quarterfinal game. Photo by Ken Yuszkus/Salem News, Tuesday, November 9, 2010.